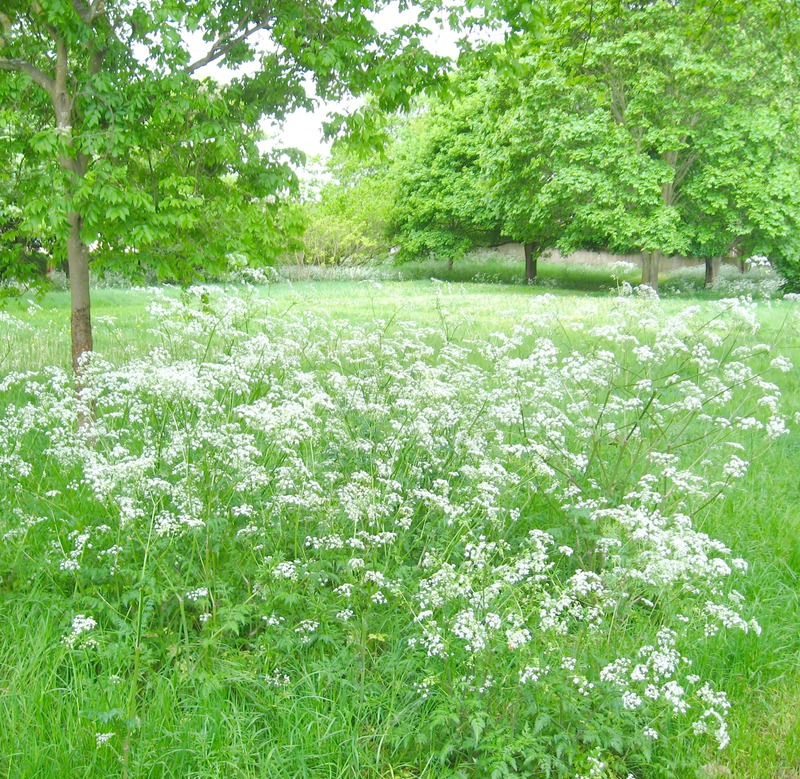 When I walk to our local shop (which isn’t quite Walking in Memphis but it’s a song I love) to pick up groceries I pass a small piece of park which right now looks lovely…..
There’s large swathes of Cow Parsley which is so fragrant, Forget me knots and Alkanet……I love Cow Parsley so much, it’s one of the smells and associations to my childhood, where on a Sunday after we’d eaten lunch, my family would often go for an afternoon walk, traipsing down the quiet lanes and around the public footpaths along the side of fields that were the boundaries of our small village. 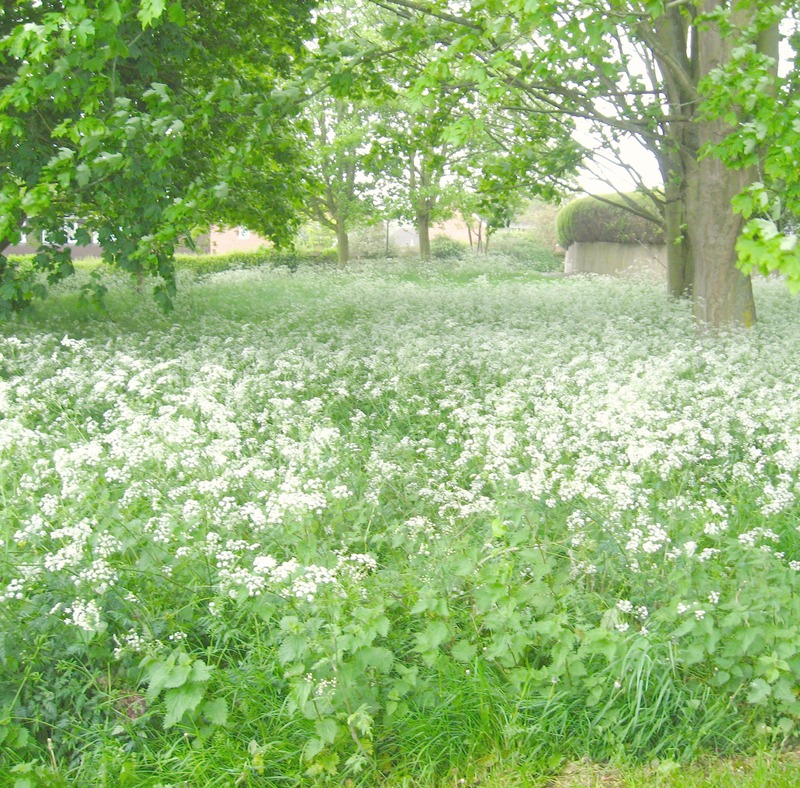 I just think the Cow Parsley looks so soft and billowy. There’s normally a lot of squirrels around here, and there’s a small colony of goldfinches nesting near by, the trees are often full of them. As I took my camera out of my bag the heavens burst open and it began to rain so I didn’t dawdle to see any birds on this occasion. 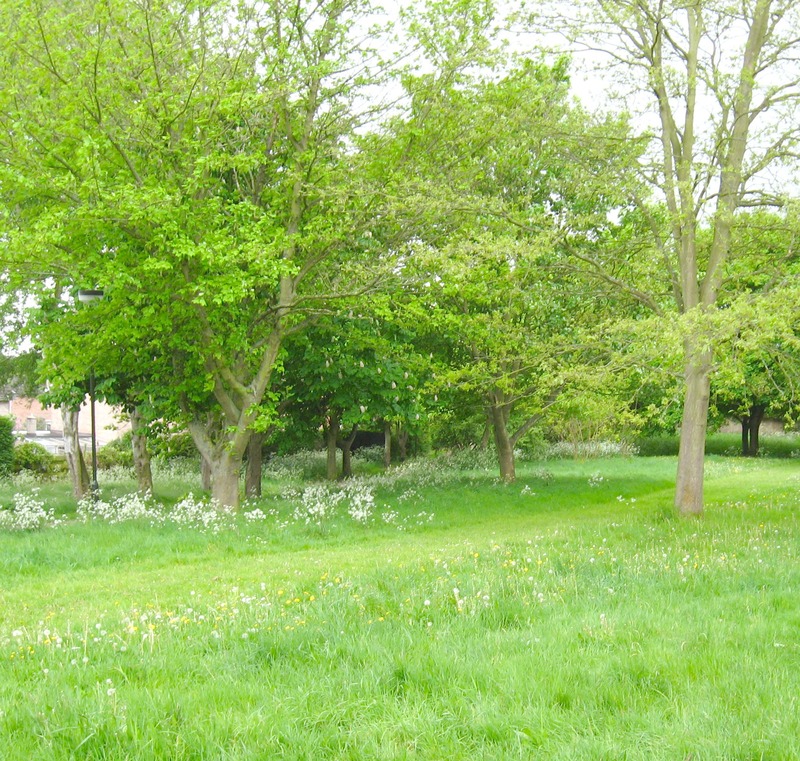 And how it is in England, within 5 minutes the rain had stopped and the sun came out… near “the meadow” there is a lane between some back gardens. 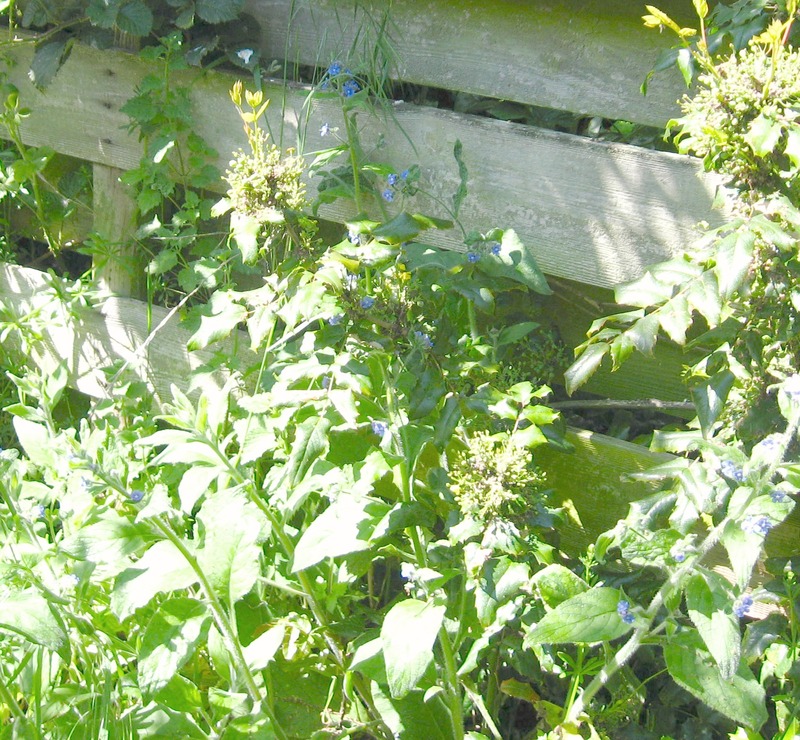 There is a bit of an over grow from the gardens where flowers and plants have sprung up along the edges….. there was a beam of sunshine on this patch of Alkanet which had bees buzzing all around it. I didn’t get to see my friend Daisy on this trip to the shops…. but here she is in her new Summer coat which I’ve just made her. She’s quite simply the most friendliest and happiest little dog I think I’ve ever met and if I’ve stopped to say hello to her and make a bit of a fuss with her, I am bound to be in Bernard’s bad books when I get home. Little update…. 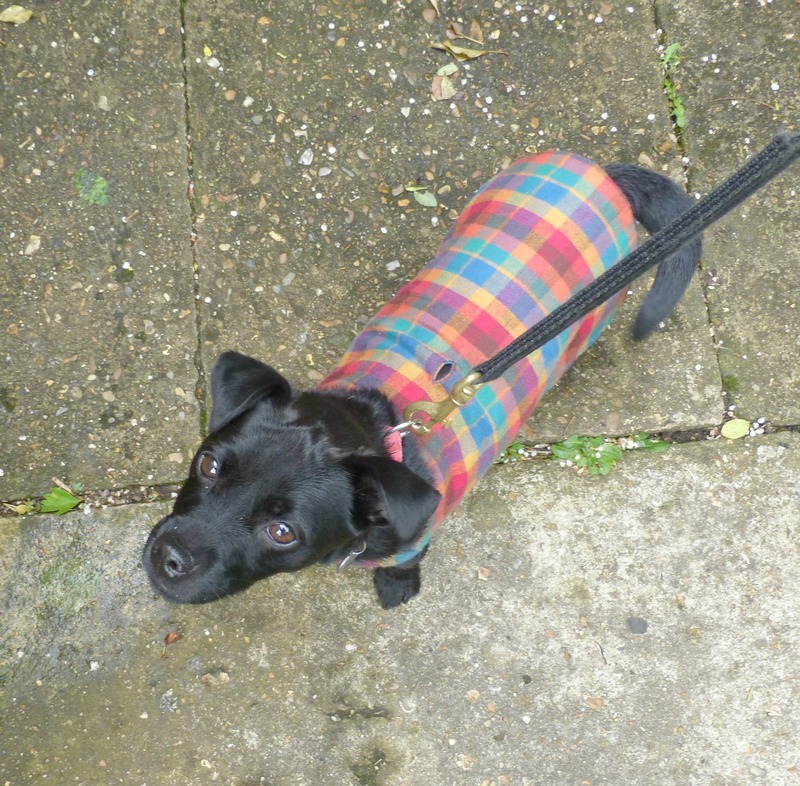 Dasiy is a Patterdale Terrier…she’s now fully grown but still looks like a Labrador puppy….she’s such a sweetie and really does make me smile every time I see her.